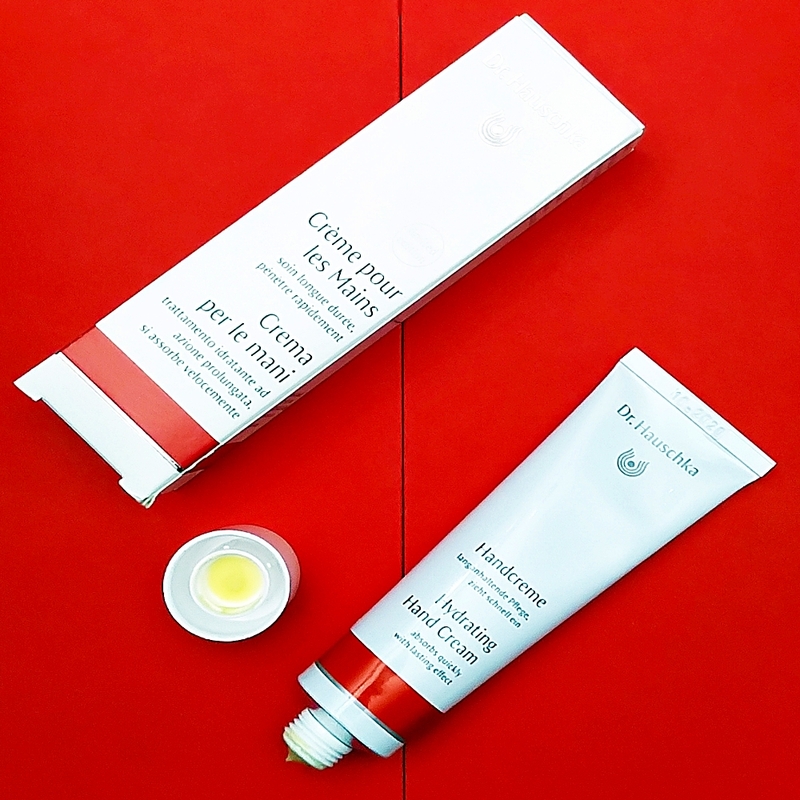 Home / SkinCare / The Dr Hauschka Hand Care Gift Set You Need To Try. The Dr Hauschka Hand Care Gift Set You Need To Try. Restore hands and perfect your nails when receiving the beautifully presented Dr. Hauschka Pure & delicate Hand Care Gift Set. Displayed in a reusable gift box to store the three natural products, you can also store your other cosmetics in it if you are looking for a stylish storage solution. Inside you will find a hydrating hand cream 30ml, a neem nail & cuticle pen and an exclusive Dr. Hauschka nail buffer to keep hands and nails in tip-top condition. Disclaimer: I was sent the product for free as part of the LoveLula accredited blogger program, this does not influence or change my honest opinions expressed in my blog posts. The Dr. Hauschka hydrating hand cream takes immediate effect upon application to relieve and hydrate overworked hands. The light texture of this yellow-coloured cream contains blackthorn, anthyllis and marshmallow to support the skins moisture barrier and help stop moisture-loss. Long-lasting nourishment is provided by beeswax, almond oil and wheat germ oil that all help to protect against any environmental and other factors that can lead to dry hands occurring. 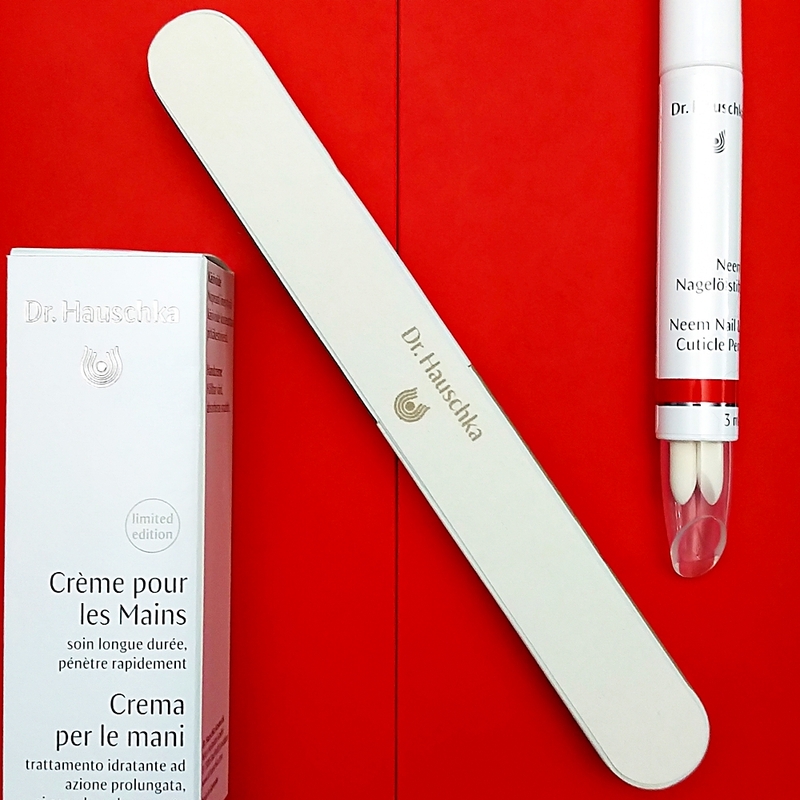 The Dr. Hauschka neem nail & cuticle pen strengthens any weak or brittle nails, while also caring and respecting the skin around it. Pressing gently, the fibre applicator releases and disperses just the right amount of the light oil to penetrate the nail, while also easily softening the cuticle. Neem leaf extract strengthens the keratin of the nail to help stop breakage, apricot kernel oil supports moisture balance, while Chamomile and anthyllis soothe and soften the cuticles for healthier growth. The Dr. Hauschka large nail buffer features four steps to follow for the perfect at-home manicure. Step 1 is perfect to shape your nails to your preferred shape, round or square, while also taking down any length of the nail. Step 2 is to smooth any rough edges or sharp corners you may not notice after filing or shaping the nail. Step 3 is to buff away any ridges and surface irregularities to a matte surface, while step 4 is used to promote a natural sheen to newly manicured nails. 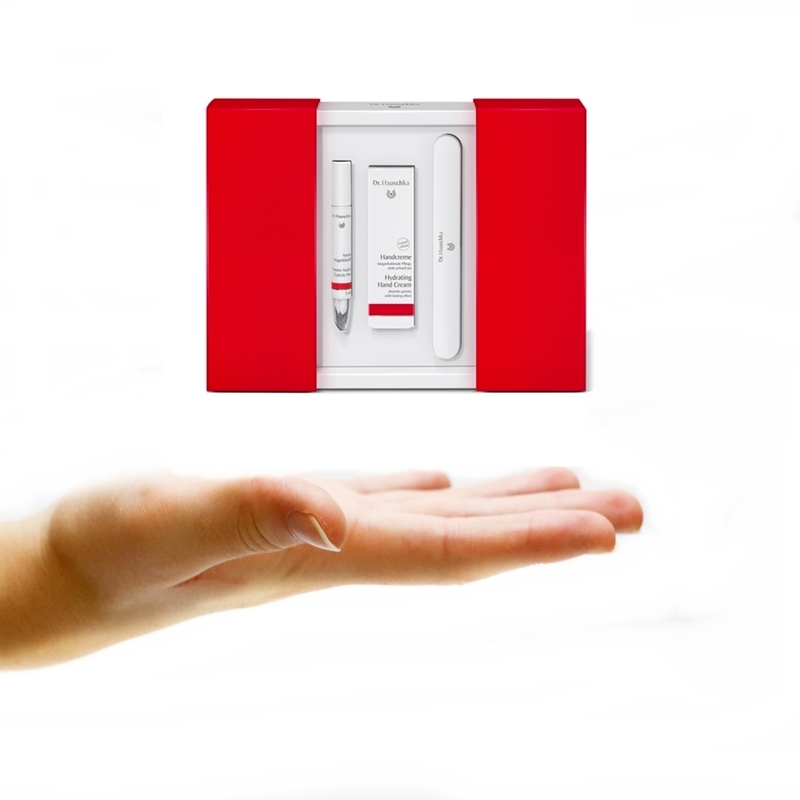 The hand and nail kit products are bag-friendly and can easily be applied and used throughout the day or night. The hand cream is presented in a metal tube with a twist off cap and when applied does not leave hands feeling greasy or sticky. 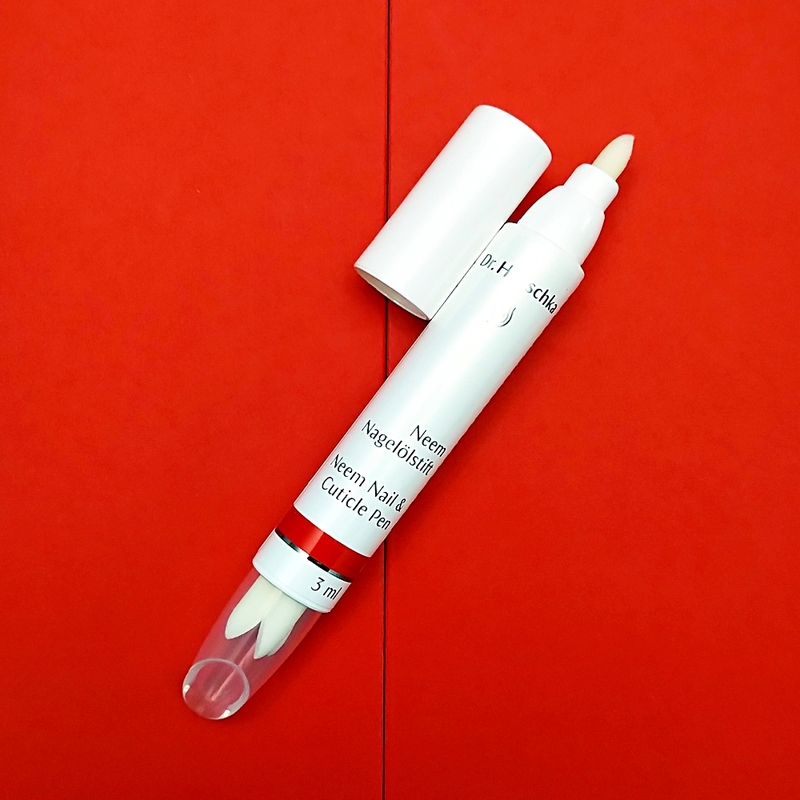 The nail and cuticle pen is a quick and long lasting fix for troublesome nails and three applicator tips are also included at the bottom of the pen for you to enjoy many applications. The nail buffer is of a large size and the four steps give you the option to perform a full manicure or only use the ones you need to contribute to the general health of the nails. Experience the hand care gift set you need to try for hydrated hands and healthier nails!